Letter from E. F. Mason informing Berry that Sheat Boskn has passed away and should be removed from all subscription lists. 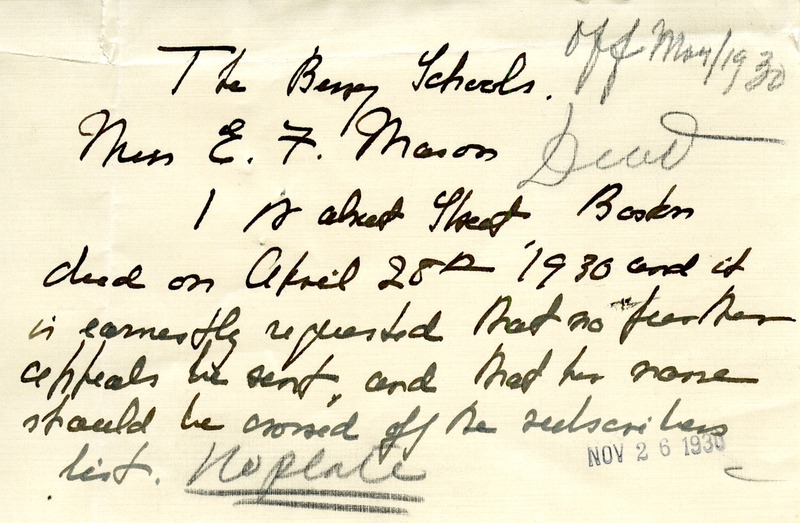 E. F. Mason, “Letter from E. F. Mason to the Berry Schools.” Martha Berry Digital Archive. Eds. Schlitz, Stephanie A., Christy Snider, et al. Mount Berry: Berry College, 2013. accessed April 21, 2019, https://mbda.berry.edu/items/show/13370.